Our city scavenger hunts are the ultimate technology-driven event for fun competition, team building, and sightseeing! City Smarthunts® are not simple phone hunts. Your group will experience the cool interactive features of our SmartHunts app on Apple® iPads® that utilize text messaging, audio, video, FaceTime®, social media, QR codes, and GPS with built-in mapping to produce the coolest hunts ever! 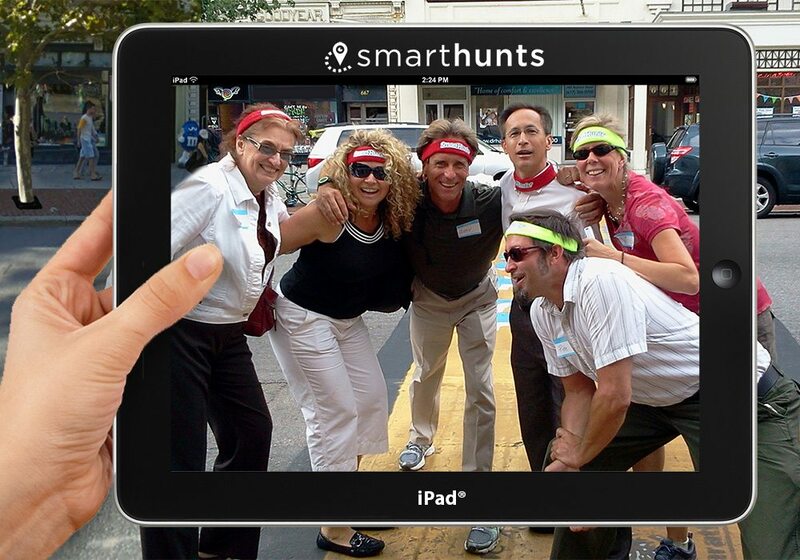 These challenging activities encourage your teams to think SMART as they use our iPads to find landmarks, solve clues, answer trivia, search for items, perform tasks, complete challenges, and take photos and videos during the hunt. We customize each adventure to fit your goals, group size, and location. Our hunts can incorporate missions, location integration, orienteering, and geocaching. Your teams can play the game in any order, giving them the ability to create a strategy of choosing missions with the highest score or playing the game based on geography. Teams will never lose connectivity to their game, even if the hunt takes them indoors. All photos, videos, and scoring are sent to us throughout the event so we can have them up on the big screen when your teams arrive at the final location. Two weeks after your program, we will send you a link to a web page that contains all the photos and videos shot by your group. The page also includes an edited video plus all the scores, photos, and videos from each participating team. Now, that’s SMART! 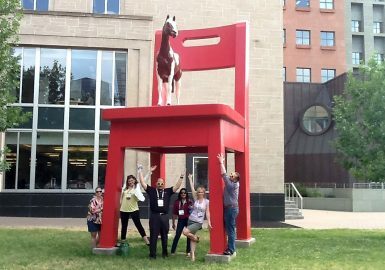 So if your group wants to explore a city, museum, or any attraction, our SmartHunts location challenges will make sure your teams won’t miss a thing. 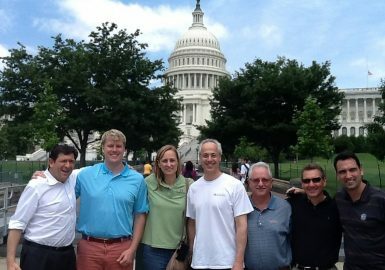 Our group of 900 people had the best afternoon in Washington D.C. on our City SmartHunt! 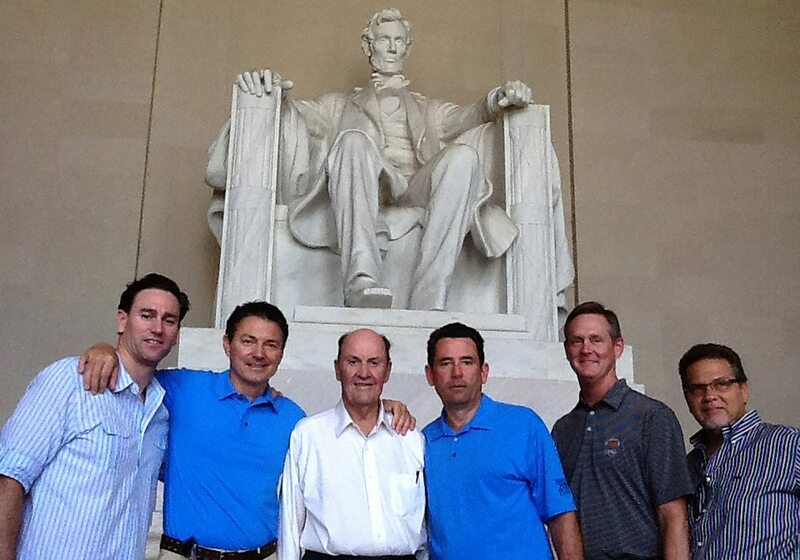 We saw many sites, including the White House and visited KPMG’s office here in Washington. Thanks for a great afternoon! The video looks great! I want you to know that we all had a good time and I can’t wait to share the video with the team. Thanks again guys for everything. Our SmartHunt in Chicago was an awesome event. The City SmartHunt was great! – Very much fun…exactly what I was expecting – so no surprises was a good thing! The intro was great in getting everyone warmed up and into their groups. I think my boss, whose idea it was, was very pleased. Thanks for all your assistance on the Forced Group Fun! Some people are SOOO competitive! Thank you all for a wonderful event today!!!! 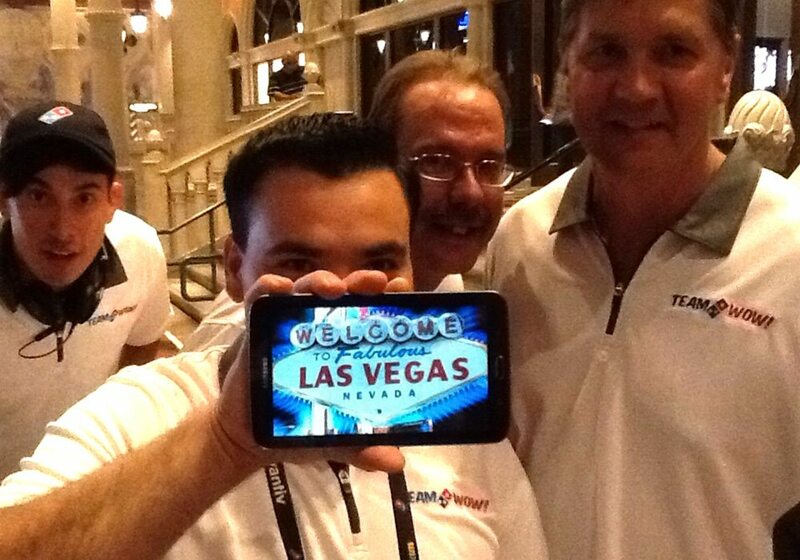 The team absolutely loved the integration of the iPad technology. I know you put a lot of work into getting everything lined up and it went great. We are looking forward to the pictures and video and reminiscing on what we did today that we never thought we’d have done without each other! At my company, we all know I am not the best team building participant, but this was hands down the BEST scavenger hunt evah!!!! Great job SmartHunts!!!!!!! Recommend 100%!!! 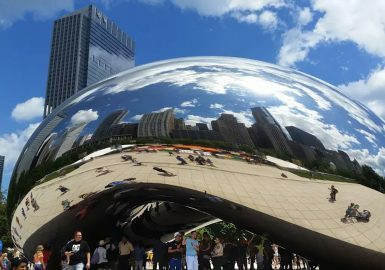 I really enjoyed exploring Chicago with my co-workers on our City SmartHunt. Taking group Selfies was a fun team bonder. Our entire group loved it despite the raining weather!! This is a great event for building teamwork and having fun while doing it! Jennifer - Pfizer, Inc. Many thanks to all of you for building and executing a great SmartHunts event for our attendees! The iPads were great and the slide show and videos were a terrific hit. Please send us the video footage of the commercials we shot so we can show them at our next Executive Committee meeting. Thanks. Our company enjoyed participating in the City SmartHunt in the Gaslamp District of San Diego. Your lead facilitator was very professional and led a fantastic and flawless event. All of the teams will be talking about their experiences and moments of laughter for a while. We are already looking for ideas for another event in San Antonio, TX. Thanks for a great event! 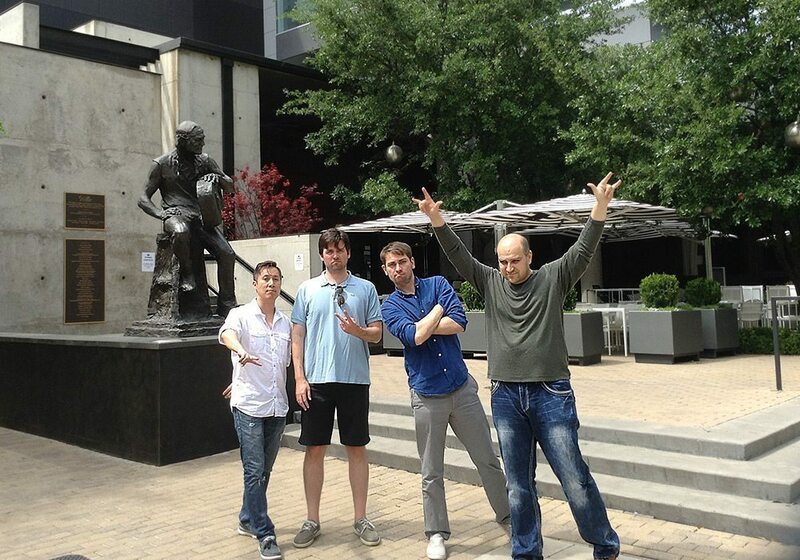 The city corporate scavenger hunt program developed by SmartHunt was the best we’ve ever have experienced as a team. Words cannot begin to say how tremendously the Impact team thinks of you all at Best Corporate Events. 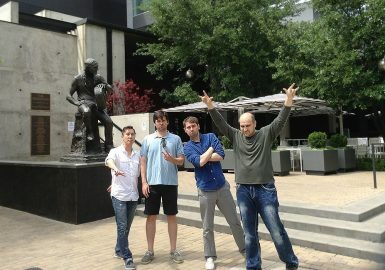 You all nailed the City SmartHunt program and our client was thrilled with the outcome! A very special shout out to your two facilitators, who went WAY above and beyond the call of duty! They were truly amazing. The assistants were also such a delight to work with, and all of our guests loved them! You truly have a very impressive team, all the way from Sales to Operations. Thank you for all of the hard work you put in to make this event the success that it was. You will definitely be hearing from us soon for future collaboration. On behalf of my team, we’d like to thank you guys for setting up such a great SmartHunt program in Washington DC. Even though a few were wary at first, my team had a great time doing the scavenger hunt and your lead facilitator Joe was excellent! Thanks again. Best Team Building experiences to date! Our City SmartHunt was extremely organized. The video challenges on the iPads were really fun and our group loved all the activities. We can’t wait to receive the finish video of the photos and videos you had playing at the end of the event. I wanted to thank you and your team for hosting a terrific City SmartHunt teambuilding event last week for Cogeco Data Services and Peer 1 Hosting. You and your team knocked it out of the park. Thanks for making it a lot of fun for our attendees. I will be sure to recommend your company to my colleagues and contacts. Best wishes. SmartHunts has a great technology and an innovative program. It’s a wonderful way to build a team or have a hard-working team to come together. 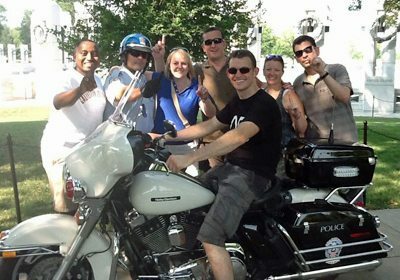 Our New Your City SmartHunt was extremely organized and we loved the massive opening icebreaker you called Entourage – it really got the crowd going. The hunt itself was really fun and our group all had an amazing time. It was great from start to finish! We had an amazing time on our City SmartHunt! We are still enjoying the videos and pics, it was truly a great team building event. ALL employees participated and I saw smiles! The most amazing thing is seeing different personalities working together that normally don’t and of course at a task they normally wouldn’t. Great, great time had by all! Today’s City SmartHunt experience was phenomenal. We had loads of fun, the weather was beautiful, and the activities were loads of fun -- very interactive, very creative. 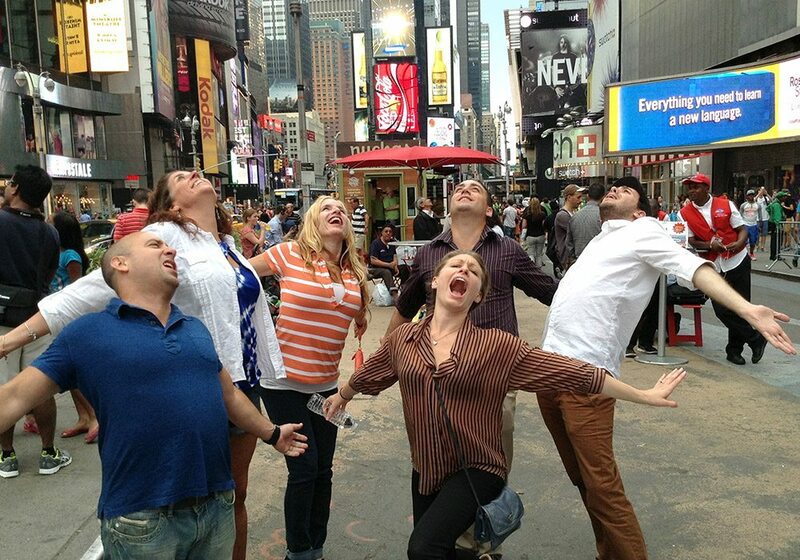 Hands down the best teambuilding exercise ever devised… hands down. Thanks to SmartHunts, the best part of our day was interacting with people who we usually don’t get the chance to spend time with! Absolutely brilliant fun -- walking around, holding an iPad, and trying to find monuments, and completing challenges. Absolutely brilliant! Thank you SmartHunts. Thank you so much, we had lots of fun on our City SmartHunt and the pictures of South Beach and the art deco hotels are helping us relive everything. This is a great activity and we are receiving lots of great comments. Our City SmartHunts was a really great experience. Having our groups work in teams toward a single goal was a great team builder. It was fun seeing people’s personalities change when you got them on equal playing fields. As a whole, our group enjoyed the activities very, very much. 100% of our group loved their City Hunt! loved it! Getting on a personal level with co-workers whom you have only dealt with professionally was a great team building exercise. The most fun was working together with peers and seeing them laugh and have fun! A special thanks go to your amazing facilitator! The competitiveness was the most fun. The facilitator was very energetic and engaged. The group enjoyed it and had lots of fun! 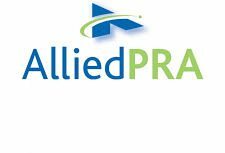 Pricing varies depending upon the number of participants (minimum of 50) and includes the team building program, prep, production coordination and all materials, program design, a professional facilitator and staffing.